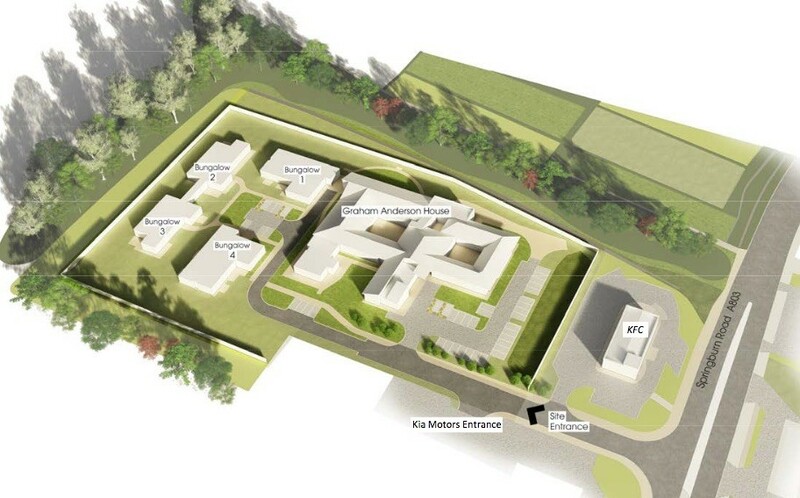 Gilling Dod Architects, acting on behalf of The Disabilities Trust, have set put plans for a number of extensions to their hospital in Springburn, Glasgow, to improve care provision for those suffering from brain injuries. 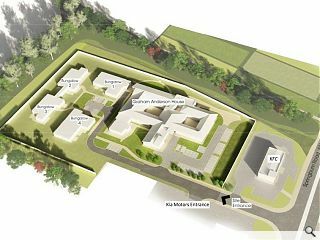 It is proposed to augment the current Graham Anderson House with additional hospital beds, long-term accommodation in the form of self-sufficient bungalows, office space and storage. In a materials statement the architects wrote: “This project has been designed around the needs patients. A safe and secure care environmenthas been the priorityfor the client. “The architecture has been designed to complement the existing Graham Anderson House bungalows in it scale and use of materials, to maintain a familiar residential feel. Formed predominantly in red brick and cream coloured render the extension will include an area of contrasting ACT cladding adjacent to the main entrance to serve as a feature arrival point.